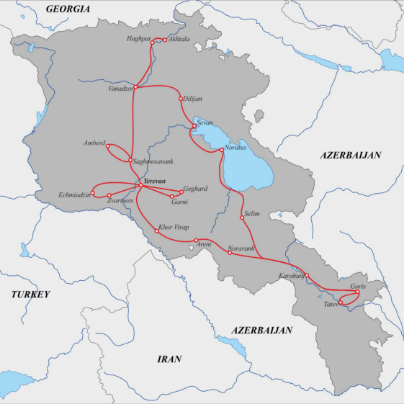 The Armenian cuisine is considered to be one of the oldest one in Asia and Transcaucasia. It proves the fact that still 2500 years ago the Armenians knew how to bake bread and make a barbecue. Armenian cuisine is rich with sweets which make it more delicious and flavorful. So this is perfect country for all the sweet-lovers. If you sit at the table with Armenians, one thing that will astonish you is that how much bread Armenians eat. One thing that you can’t forget about Armenia is tastiest and the most appetizing dishes of national cuisine which reflects the traditions and the history of ancient Armenia. The Armenians inherited diverse and rich cuisine from their ancestors. The Armenian dishes are famous for their special taste and spicy flavors. The most important and special dish of every Armenian table is the barbecue. It is made with pork, lamb, beef or chicken in the addition of different species and served with traditional Armenian “Lavash”. This dish is considered to be the inseparable part of any Armenian holidays and events. The other traditional dish of Armenian cuisine is the famous “Tolma” or “Dolma”. The Armenians have more than 50 types of traditional Dolma. It is considered to be the second main dish in Armenian tables which is made with cabbage leaves, or grape leaves, rice, minced meat and other species. They also use vegetables (pepper, eggplant, tomato) instead of cabbage leaves. 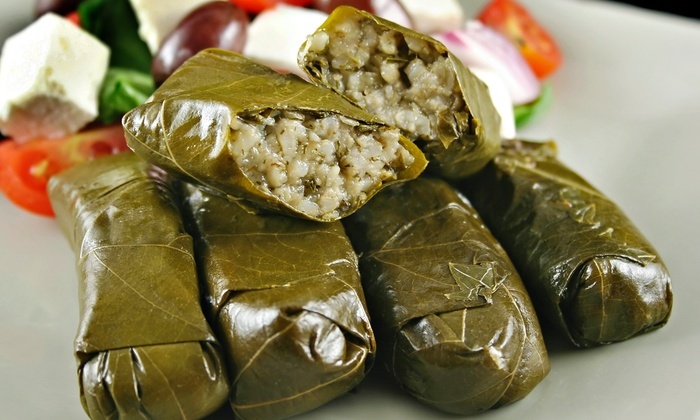 They wrap the leaves around the minced meat and rice and cook it with olive oil. In the result, it becomes very tasty. So, if you are in Armenia try this dish without a doubt. The fish has its special place in Armenian cuisine. The locals like to make fish, especially “Ishkhan”, “Taraph” “Sig”. They have numerous ways of making it. If you want to try the tastiest fish in Armenia, you should visit Sevan city (it takes an hour to get there). 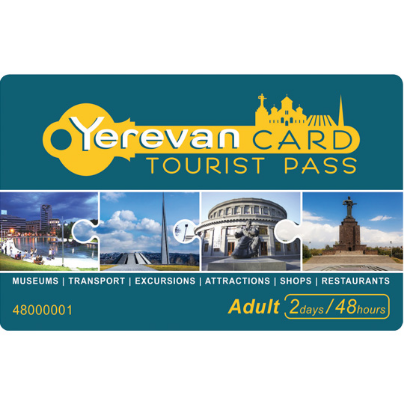 Besides, that Armenians have a special festival dedicated to fish which takes place in Abovyan city. Maybe the most traditional dish in Armenia is “Khash”. The Armenians love “ Khash”, though it has a long making process. This dish is made of boiled cow’s feet (cleaned, without the smell). The traditional Lavash is also part of this tasty food; they serve the “Khash” mainly with dry Lavash and radishes, of course, it becomes tastier with vodka. The traditional Harissa has also its special place amongst other dishes. It is one of the tastiest dishes in Armenian cuisine which is made with chicken meat and wheat. The Armenians have many kinds of soups and salads, especially for vegans. The special soup made with “Aveluk” is the popular dish in Armenia. The “ Aveluk” is edible herb which has healthy feature. The Armenians have also very tasty salad made with “ Aveluk”. If you are on a diet and in Armenia, be sure you can't resist yourself and not to eat the desserts and sweet dishes of the Armenian cuisine. Forget about your diet and enjoy the real taste of delicious desserts. Everyone knows about famous Armenian “Gata” and “Pakhlava”. These two cakes are the decoration of any traditional table. “Gata” is not only traditional dessert but also has a great importance. 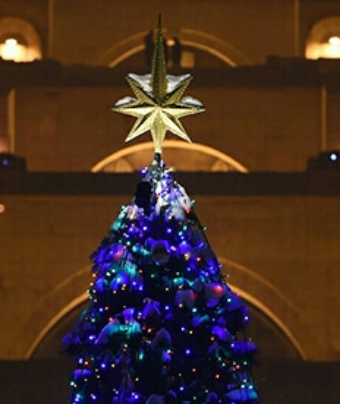 Armenians say that “ It is not a simple food, it decorates every festive table, has the meaning of the luck and success”. Gata has a special round shape and with special symbols. They say that in ancient times the Armenian Grandmothers designed the Gata with the help of fork even with a cross. It means they get rid of evil. Some people claim that it symbolizes the strength of the family. The other popular dessert is the “Pakhlava”; it is layered pastry with chopped walnuts, syrup or honey. It has really delicious taste, especially when it serves with hot tea. The other sweet dessert of Armenian cuisine is the sweet “Sujukh” or Armenian Snickers. It is a special dessert made with walnuts, “Doshab”, and sugar. 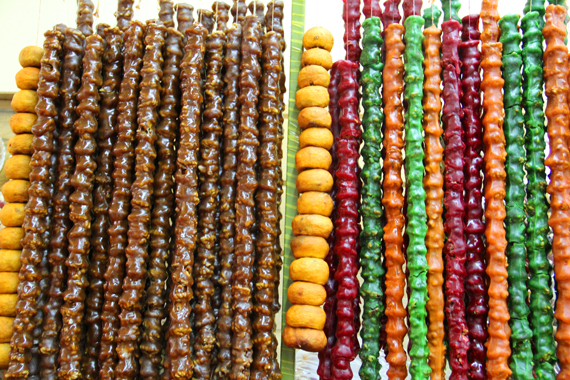 Dried fruits are another feature of cuisine. They are an inseparable part of every Armenian festive table. The Armenian women are always busy in summer just because they make different jams for the winter. The Armenian bread is an inseparable part of Armenian cuisine. We use a lot of bread, they eat everything with bread. That’s why you will see a lot of bread on their tables. 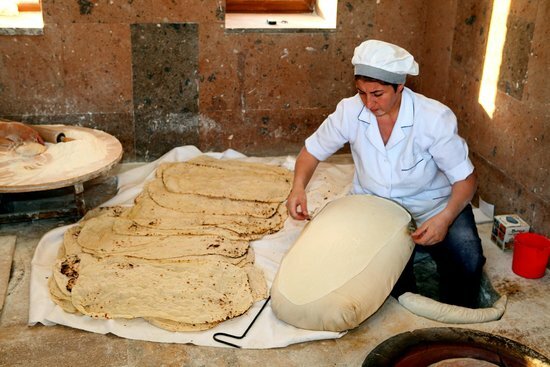 -The legendary Armenian “Lavash” is the most popular bread throughout the world. 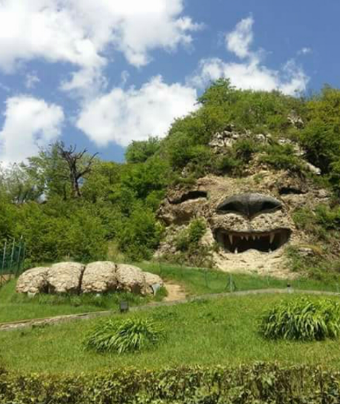 It was included on UNESCO’s cultural heritage list. Lavash is baked in the underground tonir. It is tasty especially when you try it from tonir. There are lots of places in Armenia where you can see the baking process. Lavash is also used with the Armenian barbecue and with traditional “Khash”. There are many types of Armenian bread; the most popular of them is the “Matnakhash” and “Hrazdan”. “Matnakhash” is soft bread shaped into an oval or round loaves. We are a nation that loves to eat tasty and healthy food and for enjoying it what we need else? Yes! A good drink. 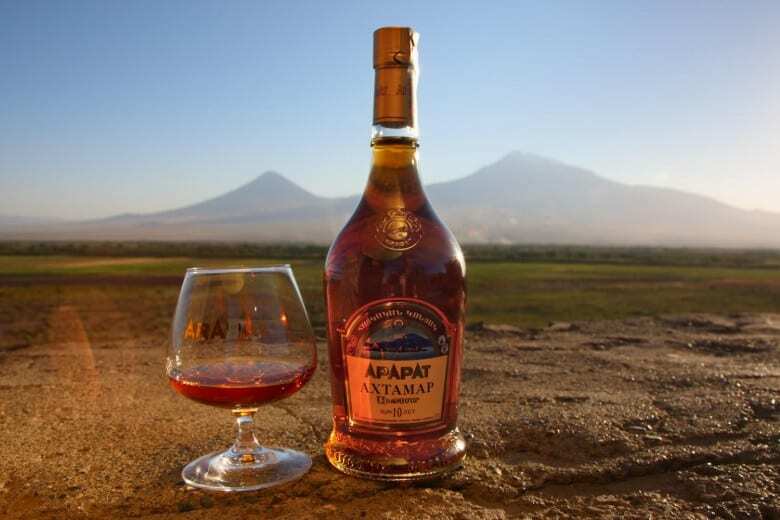 The pride of Armenian cuisine are the legendary Brandy and Wine. 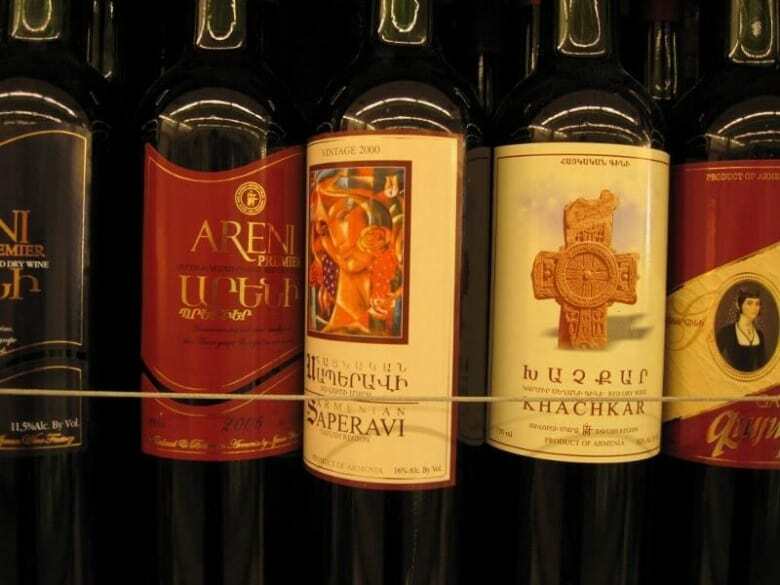 Wine is one of the most national drinks of Armenia. Since the ancient times, we cultivated grapes. According to the ancient legend, Noah was the first one who planted the grapevine in the Ararat valley. The climate and geographical conditions of Armenia provide the sweet taste of grapes which makes wine with high quality. Also, the excavations showed that still in 6-5th BC Armenians started to cultivate wild grape. 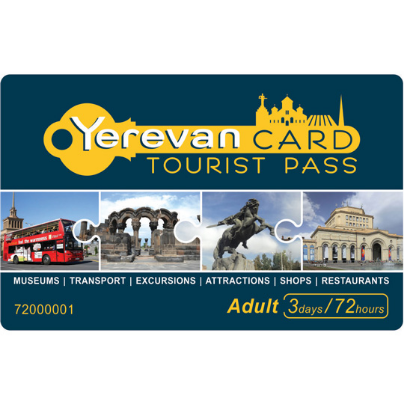 Armenia is considered to be the leading country in the territory. The history of Armenian brandy started in 1887 when Nerses Tairyan very famous Armenian trader founded the first Wine and Brandy Factory in Yerevan. Couldn't handle the company, Tairyan sold his factory to the Russian manufacturer Nikolay Shustov. The company "Shustov and sons" immediately showed the market the Armenian Brandy and reached success, especially in the Russian market. In 1990 Shustov presented the brandy in Paris exhibition and recognized the best, winning Grand Prix. In 1945, during the Yalta's conference, Winston Churchill first time tasted "Dvin" brandy and "fell in love" with this Armenian beverage. Years later when Churchill was asked what was his secret of longevity, he answered: " Never be late for dinner, smoke Hawaiian cigar and drink Armenian cognac".